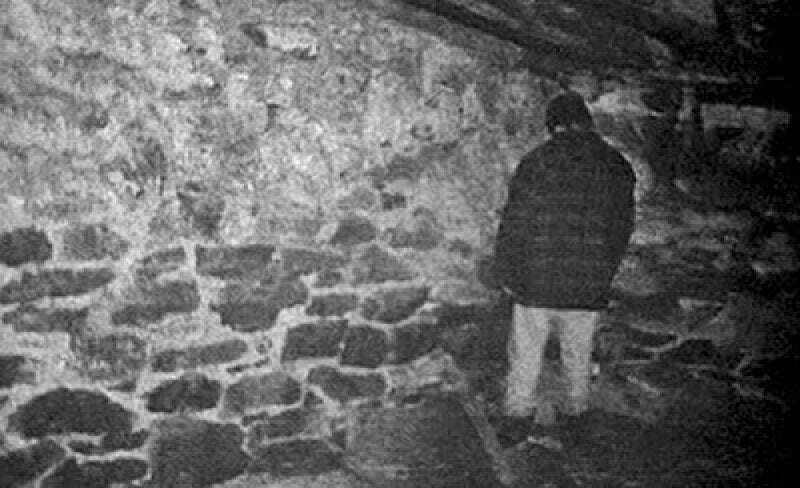 The final shot of The Blair Witch Project is haunting. It’s Michael standing in a corner, turned away so he won’t see the terrible thing about to happen to Heather, who is holding the camera. However, in a new interview, the filmmakers explained that was almost changed before release. Speaking to Entertainment Weekly, co-directors Dan Myrick and Eduardo Sanchez explained that the film’s ending basically came out of two things: lack of money and need for something weird. “There needed to be some kind of what-the-f–k moment at the end, but at the same time we didn’t want to see a person in a bad witch costume come out and grab them,” said Myrick. However, after Artisan picked up the film out of Sundance and started testing it, many audience members were confused by the ending. Scared, but confused. So the filmmakers were given a bit more money to shoot some new endings. Of course, none of those made it into the movie, but one extra thing they shot did. They did a quick pick up explaining that Rustin Parr, one of the people who killed on behalf of the witch, put his victims in a corner. It gave the ending just enough grounding and context that the executives finally said they could keep it. Read more at the below link. Update: /Film found that four alternate endings have actually been on YouTube for a few years, and you can watch them below. They include an alternate in the corner take, Mike staring at the camera, Mike hanging and, yes, Mike crucified, though it’s way less exciting than you’d expect. Here they are in that order.